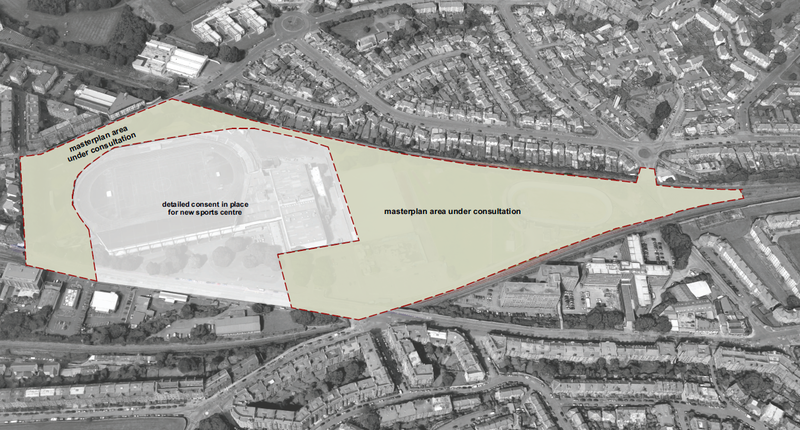 In June 2018 the Council's Development Management Sub Committee approved detailed plans for a new Meadowbank Sports Centre. GRAHAM Construction has been contracted to build the new state-of-the-art £45m sports centre to replace the 50-year old complex. Initial works to bring down the old Stadium are undeway. Work to is expected to begin in summer 2019 on the new sports centre. Committee also approved the principle of the redevelopment of land surrounding the Sports Centre for mixed uses including residential, student accommodation, hotel and commercial uses, together with car parking, landscaping, drainage and ancillary works. The illustrative map below shows the relevant areas. This is a major place-making project for the Council and we expect it to bring significant opportunities to the area. The Council is planning a series of engagment events to help inform our approach to the site. The Council believes that in order to create a successful new place we need the support and continued engagement of the community who live, work and visit the area. We are seeking your views on how to shape the new development. Please see links below for background information and details of forthcoming events. The first stage of online consultation is now closed. Thank you to all those who completed the survey. We will use the feedback gathered to inform our proposals for the site. If you have provided your email address we will contact you regarding future events. We will also advertise any events through other methods such as posters and social media.